It is about time to for some mystery. Why not? For today, we are not cooking anything interesting, we are cooking some scary story. What about some dark theory for the day? The gold pursuit is always an interesting topics. People would do anything to get to be part of that golden fever, for some the sole pursuit is very important, no matter where that would take them. In today game we are not talking about people, but some creatures who are in love with voodoo magic and they would do anything to reach to great golden heritage. 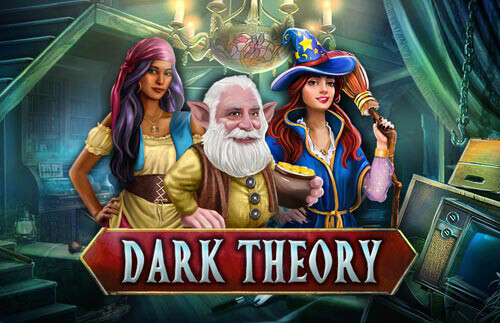 The witch Amanda, Gypsy lady Maria that is dealing with voodoo magic and the dwarf Gary who is interested in gold, arrive in the dark wood wanting to explore the dark theory that who will enter here and will take at least one object from this place, will be turned into stone. Now they start their exploration. Maybe someone has put a curse to this place and that's why it makes them angry. But, they don't give up because they believe that they can solve the dark theory.